This was our ninth Christmas Bag Pack. We thoroughly enjoyed the Christmas atmosphere whilst helping staff and customers. Sincere thanks to Management and Staff at Super Value and the generosity of customers. We raised a total of €8,178. This was our tenth annual Table Quiz. We had a most enjoyable night together, forgetting about financial worries for a while. We raised €610. Thanks to all our loyal supporters who turned up on such a freezing cold night. 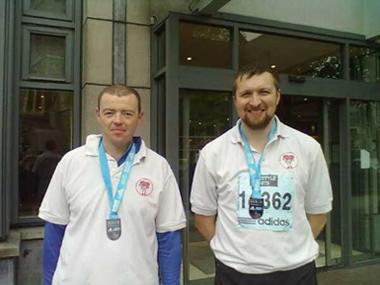 On Monday 25th October Noel Murphy & Kieran McGrath took part in the Dublin City Marathon on behalf of the Marfans Research Foundation. The 26 mile race went through parts of the city and surrounding areas. 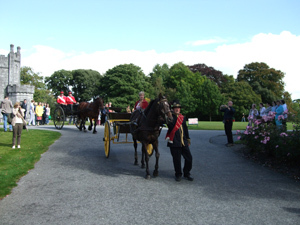 The lads had been training for 3 months prior to the event to prepare themselves as they had never done one before. They completed the marathon and were delighted to get across the line. There was many aches and pains for a day or so but they were both glad they had done it. 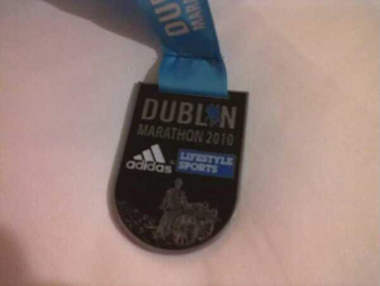 Helen Lee, Lorraine O’Halloran and Trish Murphy completed the marathon on behalf of our Charity. These fantastic ladies raised a total of €242. Jennifer Kearns, Edmond Purcell and Michael Tobin organised a beard shave and wax at The Thatch Pub, Grannagh, Kilmacow. The craic was mighty not to mention the brave males who volunteered for waxing and shaving. These are all young generous people who made this a most enjoyable and successful fundraiser and raised a total of €616. Well done and a big thanks to all.